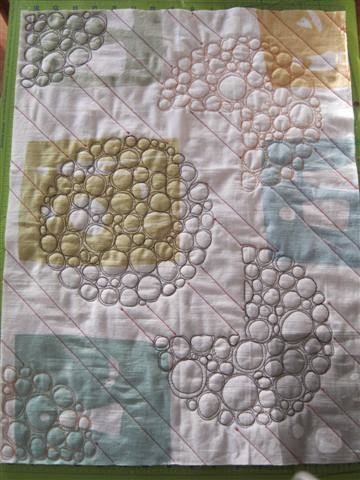 I love contrast in quilting, so to go with the all-over-the-place, different-size bubbles, I decided on a parallel grid pattern. 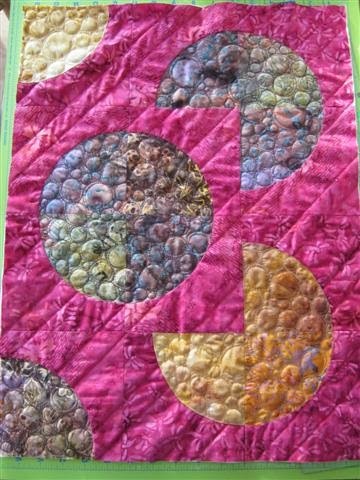 I didn't want the pattern to be too ridgid, so left out every 3rd line, ending up with 2" - 1" - 2" - 1" etc. 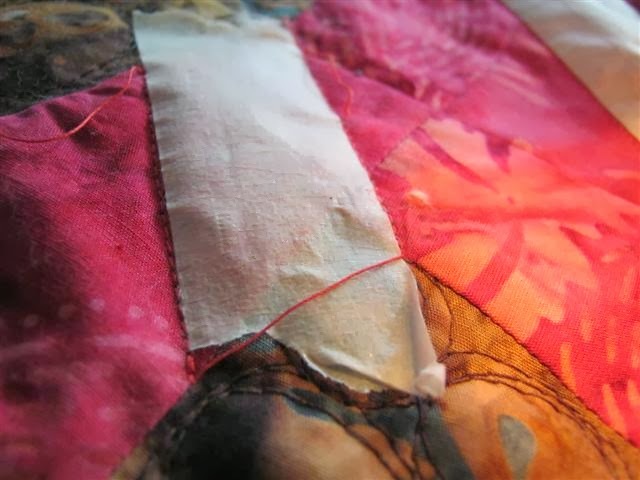 in between quilt lines. 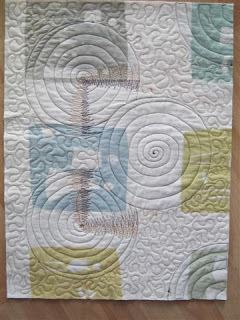 I simply used masking tape to mark the quilt lines and quilted along either side of the tape. 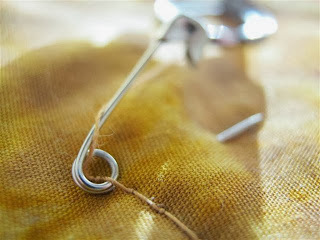 Whenever possible, I simply lifted the needle and foot and moved across to the next seam without cutting the thread. 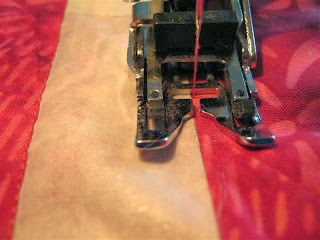 This reduces the chance of thread-ends balling up or getting tangled when starting a new quilt line with loose thread ends. 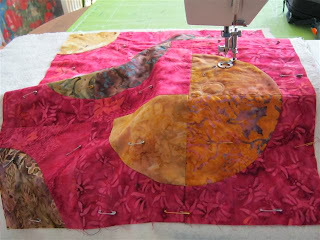 View from the under side, all finished and squared up. Next comes Part B. I decided to do bubbles in the circles this time. The plan is to use different quilting styles and combinations on each part of the wall-hanging. 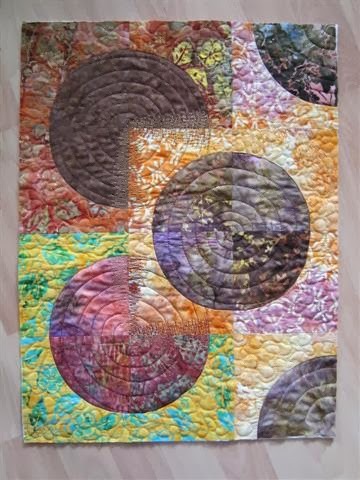 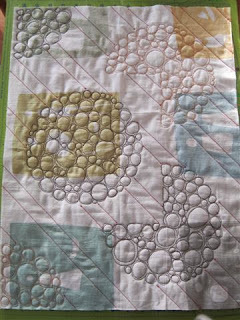 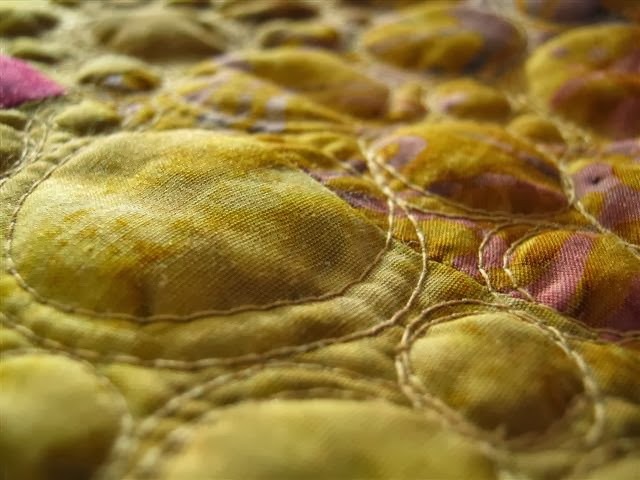 The bubbles pattern is one of my favourite free-motion quilting patterns. 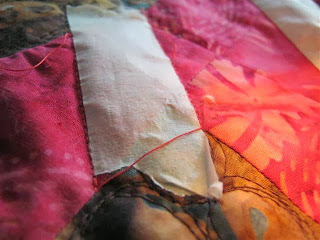 Especially on a small section such as this, it's a lot of effect for relatively little work. I want to bounce on these! 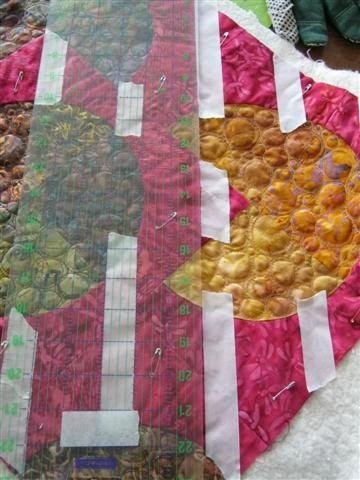 Next up: the background quilting on Part B. Here is the back, you can see what I mean about trying to soften the transition from background fabric to circle fabric.